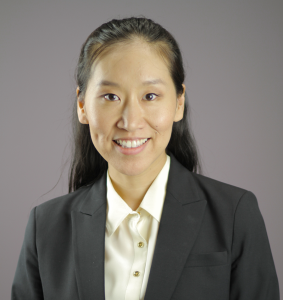 Prior to her position at Digestive Healthcare Center, Dr. Lee completed her post-graduate training at Mount Sinai Medical Center in New York, NY including her residency in internal medicine and fellowship in gastroenterology. As part of her fellowship, she also perused research in the specialized areas of ethnic disparities in colon cancer screening and in inflammatory bowel disease. Dr. Lee attended Weill Cornell Medical College in New York, NY where she received her medical degree with academic distinction. She earned her Bachelor of Science degree in Biomedical Engineering with honors from Johns Hopkins University in Baltimore, MD. Dr. Lee received numerous academic awards, including The Janet Glasgow-Rubin Memorial Award at Weill Cornell Medical College given to female students who graduate in the top 10% of their class. She also received a research-training award from the National Institutes of Health and was a grant recipient for an aging research program. She is a member of American Gastroenterological Association (AGA), American College of Gastroenterology (ACG) and the American Society of Gastrointestinal Endoscopy (ASGE). She also holds membership with the Crohn’s and Colitis Foundation of America (CCFA). Dr. Lee has been extensively published in medical literature and has presented various abstracts and other oral presentations in her field.